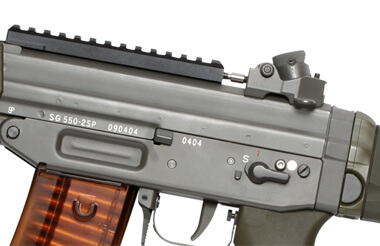 SG 552 is not an AEG you commonly see on the skirmish field. 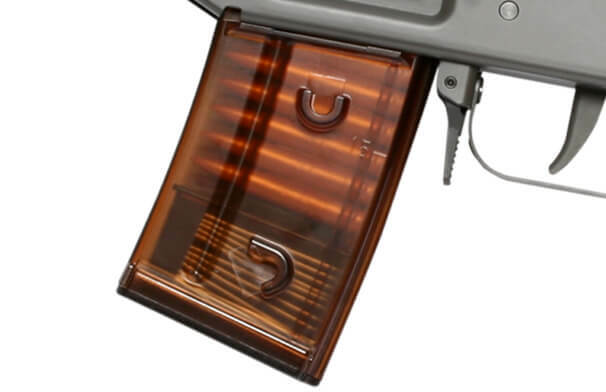 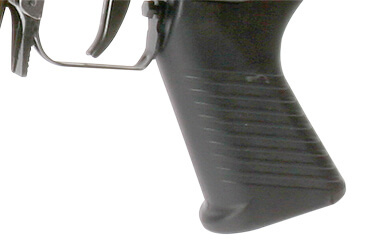 The receivers are made from stamped steel and attention to detail has been paidspot weld marks, unique serial numbes, the Safe, Semi and Auto markings and the OD furniture give this gun a unique and very convincing look. 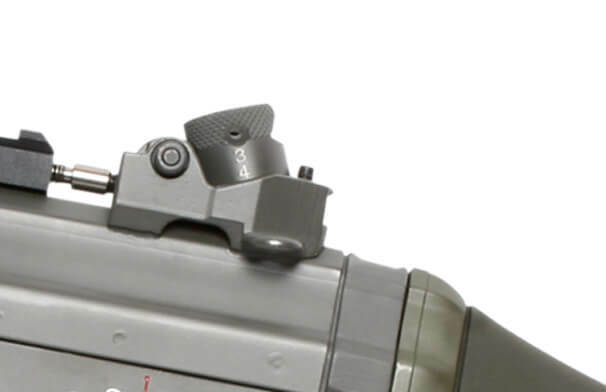 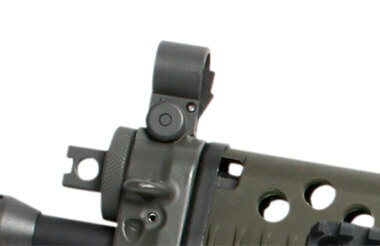 which is important to those left handed airsofters, and the fire selector is very solid and sturdy. 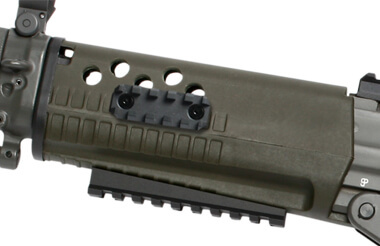 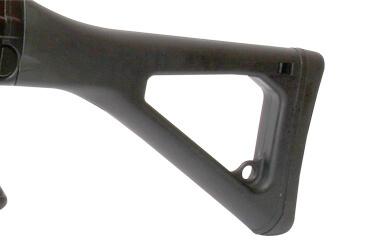 The folding stock provides you with great support when you need it and securely locks away when you don't.